KINTYRE: Bill Allan has sent in photos of his “Polish” Mute Swan record – at Ronachan Bay on 22 Sep 2013 and so far only the second report in Scotland. NORTH ARGYLL: A male Velvet Scoter was at Ardmucknish Bay, Benderloch today (David Jardine). 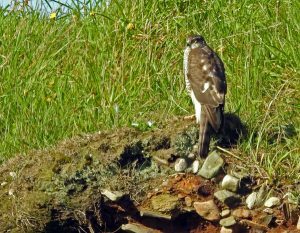 MID-ARGYLL: Highlights at the Add Estuary today – 7 Whimbrel and a Peregrine and also a White-tailed Eagle hunting at Loch Gilp (David Pearson). TIREE: 30 juv Black-tailed Godwit and 4 juv Knot on arable silage stubble at Kenovay, 10 juv Black-tailed Godwit at Loch a’ Phuill, 4 juv Knot at Gott Bay – although 15 juvs there at the weekend – Keith Gillon, imm Merlin showed well at Ben Hynish, White Wagtails quite widespread on the beaches (John Bowler). 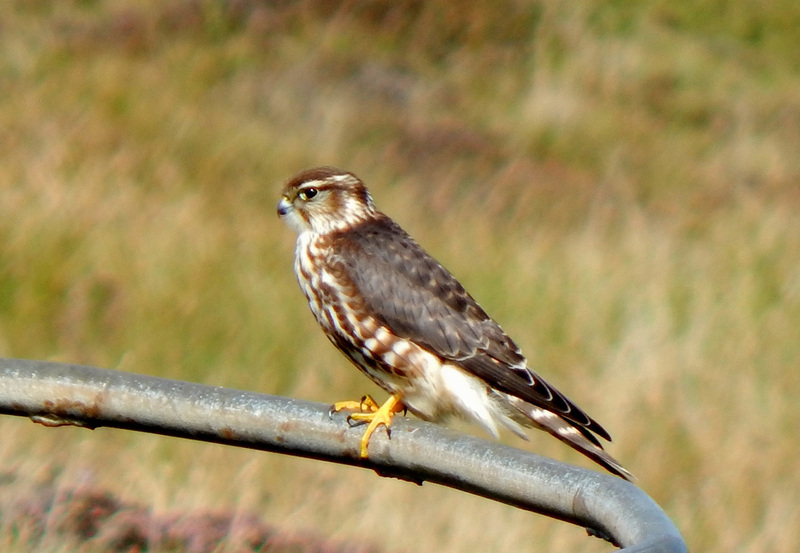 MERLIN – Ben Hynish, Tiree 3rd Sep (John Bowler). 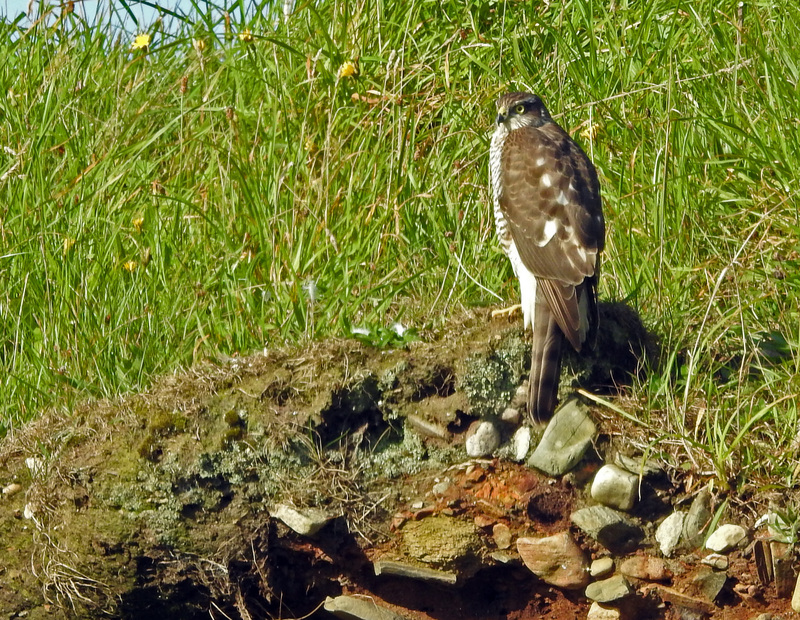 SPARROWHAWK – Coull, Islay 3rd Sep (Jim Dickson). “Polish” Mute Swan – Ronachan Bay, Kintyre 22nd Sep 2013 (Bill Allan).